iPhone 7 users are all of sudden are facing issue with network as the iPhone started to say “No service”. 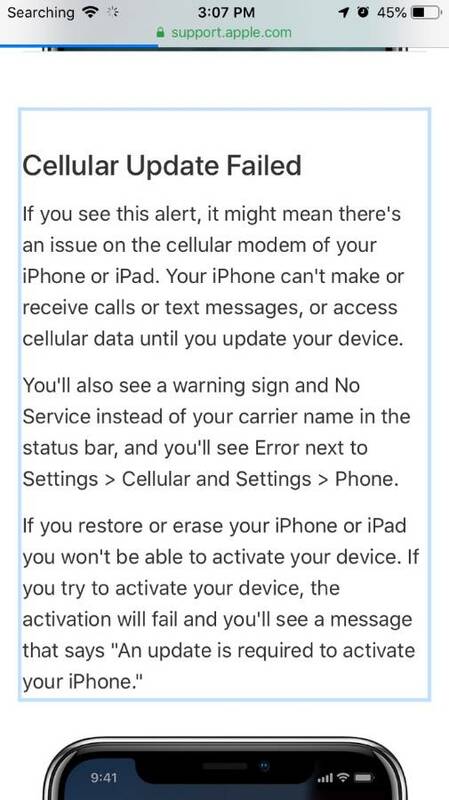 The status bar error message "No service" in iPhone is with a caution sign, and it also says mobile data cannot be used until updated, but there is no update. The issue was happening with iOS 11 so many of them updated to iOS 12 but still iPhone is giving No service error with error pop up on screen like Cellular Update Failed” & “Mobile Data Update Failed”. Only iPhone 7 users are reporting Cellular Update Failed in iOS 12. 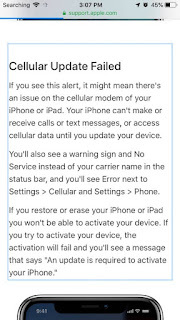 While updating the iPhone to iOS 12, many iPhone users faced network issue, just after iphone was updated using iTunes a new error message appeared in the status bar - instead of just "no service", there is also an exclamation point in a triangle. Also, if I go into the settings, it says "error" next to "Cellular". The users check with their network provider for any update for their iPhone but there are none pending. This is really surprising as iPhone 7 network issue seems to originate from network issue but no such things are acknowledged by network service providers. The same sim is active and is working fine on the other phone but the issue lies with iPhone only. The error reads "Mobile Data Update Failed -Your iPhone cannot make and receive calls or access mobile data until it has been updated". Further it seems that users is also not able to restore the iPhone due to update failure. While trying to reset the iPhone the user see a warning message-: You will not be able to set up this phone after erasing. A mobile data update is required before it can be activated again. Many iPhone users tried reset network settings, remove SIM card restart phone but none of these steps helped to fixed the issue. 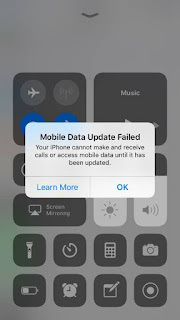 Infact in some cases the network reset did help but did not last long enough and the Cellular update failed started to happen again in iPhone 7. 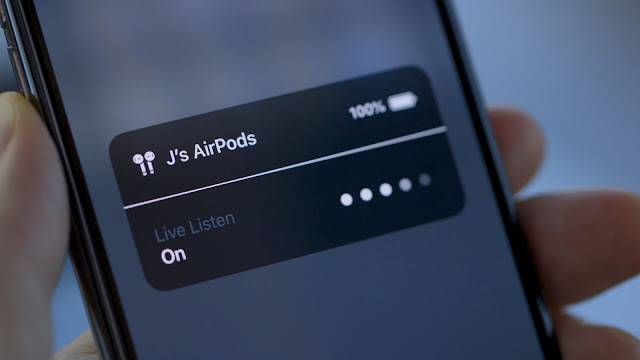 Apple have confirmed that small percentage of iPhone 7 devices may show "No Service" in the status bar (even if cellular coverage is available), due to a component that has failed on the main logic board. These affected units were manufactured between September 2016 and February 2018 and sold in China, Hong Kong, Japan, Macao, and the U.S. See below for iPhone 7 model numbers that are covered in this program. Apple will repair these device, free of charge.if you have not received an email from Apple by the end of March 2018, please contact Apple. Why is there no class action for this against apple. I'm never buying another apple product ever! 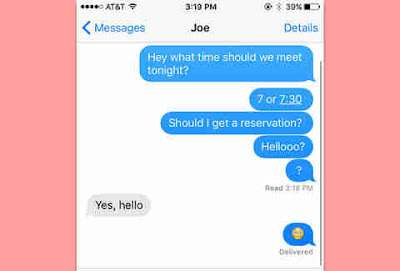 I've had this exact same issue with my iPhone 7 since updating to the latest iOS. Because I'm in the UK Apple are saying it's not their problem even though there's a precedent in the US, Japan and Puerto Rico! i have the exact same issue (iphone 7 A1778), i bought the phone from US whe they released it and im living in Turkey, i hope they will repair or change it with at least same model contrary actions would be unaccaptable.